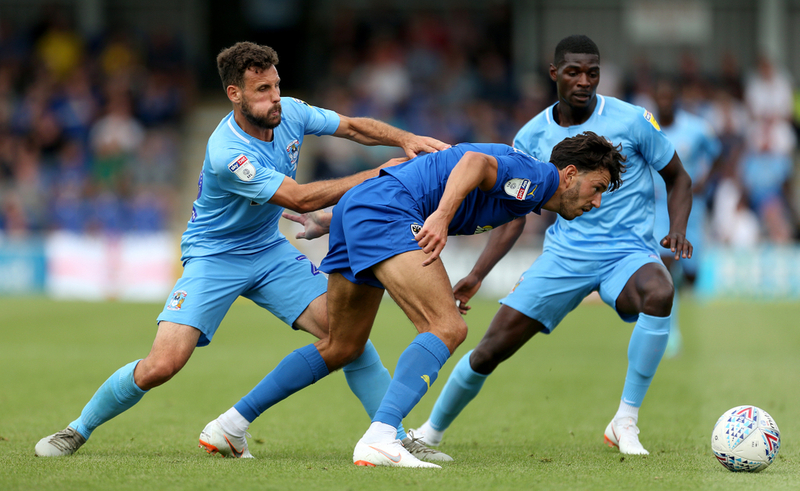 AFC Wimbledon will make their way to The Kassam Stadium to face off against Oxford United on Saturday in League 1 as the two sides prepare to meet at 3 o’clock. Both teams are in the bottom half of the league table after playing forty-one games each, with the hosts in twelfth and on fifty-two points, fighting for a top half finish, while their opponents sit fourth from bottom and hold the last relegation spot, with goal difference being the sole separating factor between themselves and Southend United above them. Oxford United will be very confident as they get ready for this upcoming clash, as they are unbeaten in five games and have won each of their last four, keeping three clean sheets along the way. After playing out a scoreless draw with Rochdale early last month, Oxford found victory when Bradford City visited, beating the bottom side by one goal to nil as Jamie Mackie netted in the last minute of the tie. 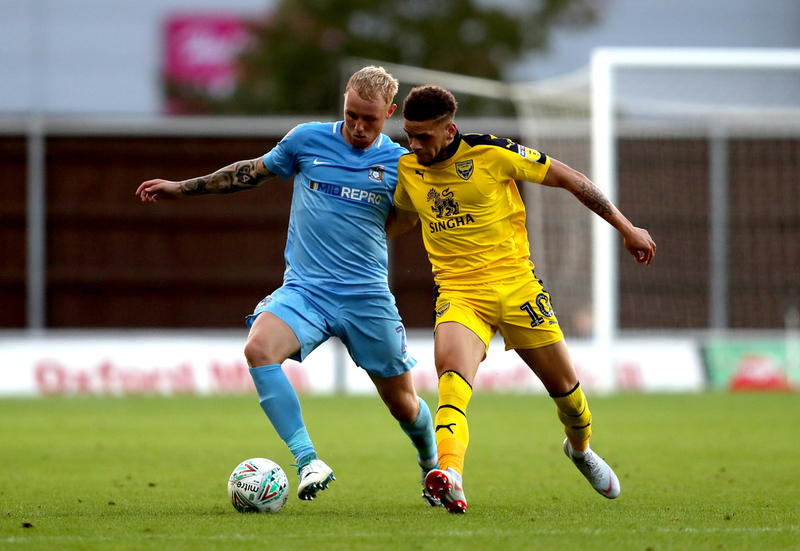 Another win by a one goal margin came next when Oxford made the trip to Coventry City, this time Curtis Nelson grabbing the only goal of the day. One week later, Oxford United beat Wycombe Wanderers by two goals to one on home soil, while their last fixture again went their way, this time away to Walsall. James Henry has scored a total of ten goals this season and that has put him top of the scoring charts, although he has not found the net in any of his last thirteen appearances for the club and will be looking to get right back on track with a strike in this encounter. He is seconded by Marcus Browne with five, while Mackie also has five and is joint second with Browne. The assists have mainly been supplied by former Liverpool man Cameron Brannagan and Henry, with both men setting up five goals for others during the campaign. AFC Wimbledon come into this one having lost just once in their last five matches, winning three and drawing on one occasion. After beating Peterborough by a solitary goal in early March they then handed Southend the same fate four days later, with Joe Pigott bagging the only goal of the day on that occasion. Then came the disappointing defeat upon the visit of Gillingham to Cherry Red Records Fans’ Stadium by four goals to two after Michael Folivi had put the home side in front less than twenty-five minutes into the first half. In their last outing of March, Wimbledon were on the right end of a 1-2 result versus Scunthorpe United, while their most recent match came as a stalemate against Accrington Stanley on home soil. Pigott has found the net eleven times during the season and tops the charts in that respect with six more than his nearest challenger for top spot in James Hanson with five. Pigott has notched four goal involvements in his last five appearances, three of which being goals for himself with his last coming in the draw at home to Accrington Stanley. The 25-year-old has also been the main provider for others this season with four assists, one more than Mitchell Pinnock on three and two clear of Anthony Wordsworth.